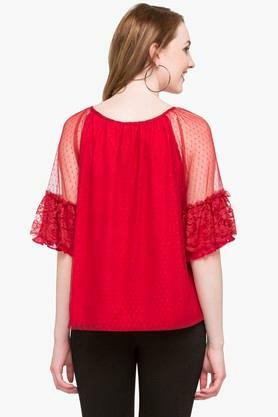 Let your friends adore your style sense when you step out wearing this top from the house of Femina Flaunt. It has kimono sleeves, which further accentuates its design. 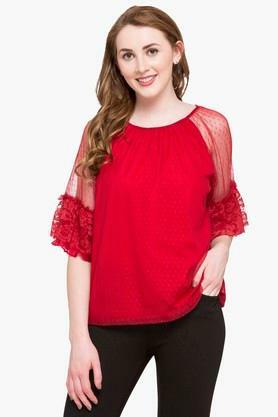 Moreover, it comes with a lace pattern that makes it stand out in terms of look. Also, the sheer detailing on the sleeves renders it chic. 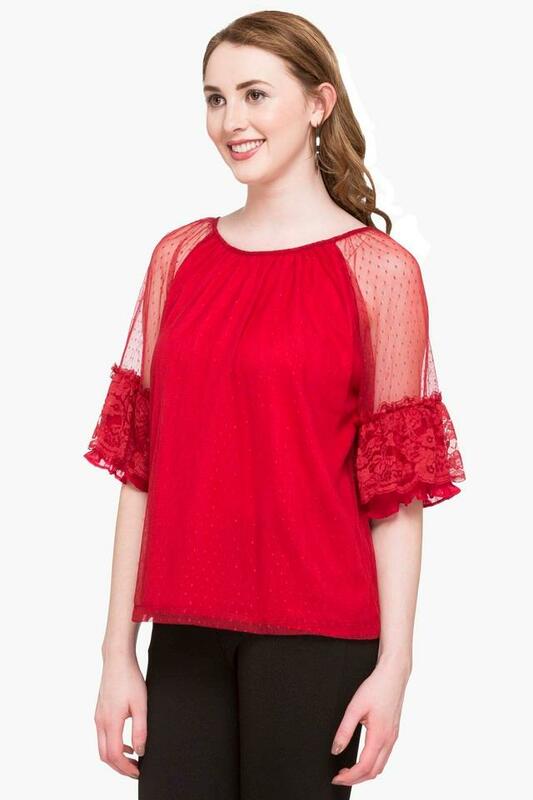 Stand out from the crowd with your sophisticated choice of attire by opting for this top which has been crafted with care using fine quality fabric. You can team it with a pair of pants to look fabulous for any casual occasion.